The shooting forces Jessica to rethink her plans. Meanwhile, Oscar asks for help with a family crisis, and Trish's frustrations finally boil over. 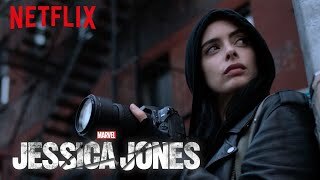 Currently you are able to watch "Marvel's Jessica Jones" streaming on Netflix or buy it as download on Apple iTunes, Amazon Video, Google Play Movies, Microsoft Store, Vudu, FandangoNOW.